Pioneer Courthouse Square‘s 50-ish magic meters opened on April 6, 1984. The centrally located block was home to the luxurious Portland Hotel before it became a department store parking lot in 1951. In the mid-70s the idea of a public square took hold. The theme of the opening ceremonies was A Square is Born. Mayor Frank Ivancie, who had tried to kill the square in 1981 and is most famous for losing to a bar keep in the next election, declared it “a great achievement” (The Oregonian, 7-April-1984). The Truth Is Stranger than Fiction: I was staying at the Portland Hilton for a high school Future Business Leaders of America convention when PCS opened. It (PCS, not FBLA) was quite the celebration. I just think the ‘vitality’ of PCS is amazing. Lots of towns have concrete/brick ‘town squares’ that are dead-as-a-doornail. (Cities loved making them in the ’70s and ’80s.) There are even quite a few more scattered around Portland that aren’t popular. (See: The Rose Quarter.) 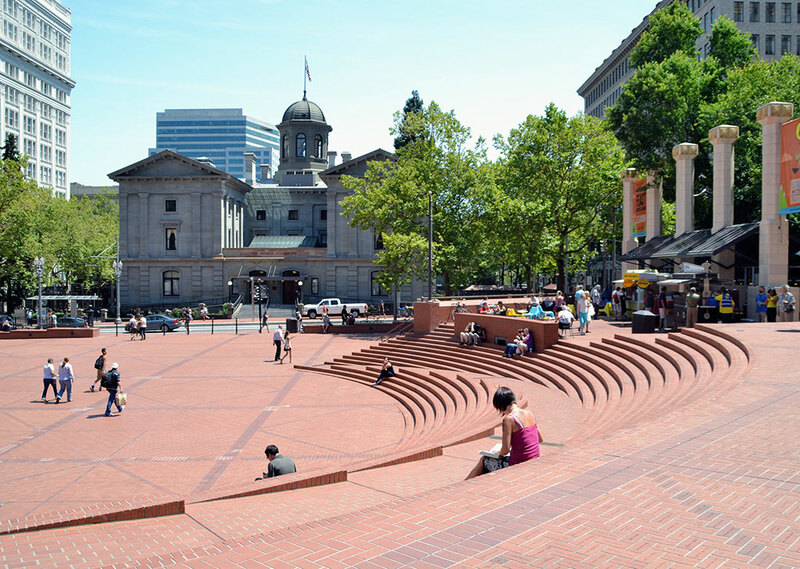 But Pioneer Courthouse Square has flourished. And there is no good explanation! When it was built, there was no light rail there, there was no Starbucks, no restaurants right there. It was just a square between a couple office buildings, with a couple department stores nearby.